The 3rdAnnual Chautauqua Lake Partnership Memorial Day Weekend Rally will be held at the Village Casino in Bemus Point on Saturday, May 25, 2019, beginning at 9:00 am. Jim Wehrfritz, Partnership Vice President and Dr. Tom Erlandson, Partnership Biology Advisor,were interviewed by Greg Peterson as part of the Chautauqua Institution Winter Series on February 26, 2019. A Post-Journal article describing the interview here and a full video of the interview can be found here. The Partnership Fundraising Campaign lead by Sara DeMink and Tom Turner is into its fourth month. Donations have been very generous (thank you) but more is needed since Town and Village funding for herbicide application will require supplementation. The Chautauqua Lake and Watershed Management Alliance has conditionally committed only $40,000 from local foundations and County funding of 2019 herbicide treatments remains uncertain. Please donate to the Partnership by mail to Chautauqua Lake Partnership, PO Box 337, Bemus Point, NY 14712 OR visit the Partnership website at www.chqlake.org and use PayPal. Thank you! Following is an update on 2019 Partnership, Town and Village Weed Management activities. As last reported, permit applications to use herbicides to reduce invasive weed populations in many areas of the lake were submitted on February 5, 2019, by the Towns of Ellery (includes the Village of Bemus Point), Ellicott, Busti and North Harmony and the Villages of Celoron and Lakewood. Letters of Notification, including more specific treatment information and including maps showing anticipated water use restrictions, have been sent to ~2000 property owners along approximately two-thirds of the Lake shore and along the Chadakoin River and Cassadaga and Conewango Creeks downstream of the Lake. Only 20-30 (~1%) objections to the herbicide treatments were received by the NYSDEC in spite of a letter-writing campaign organized by a Maple Springs resident. 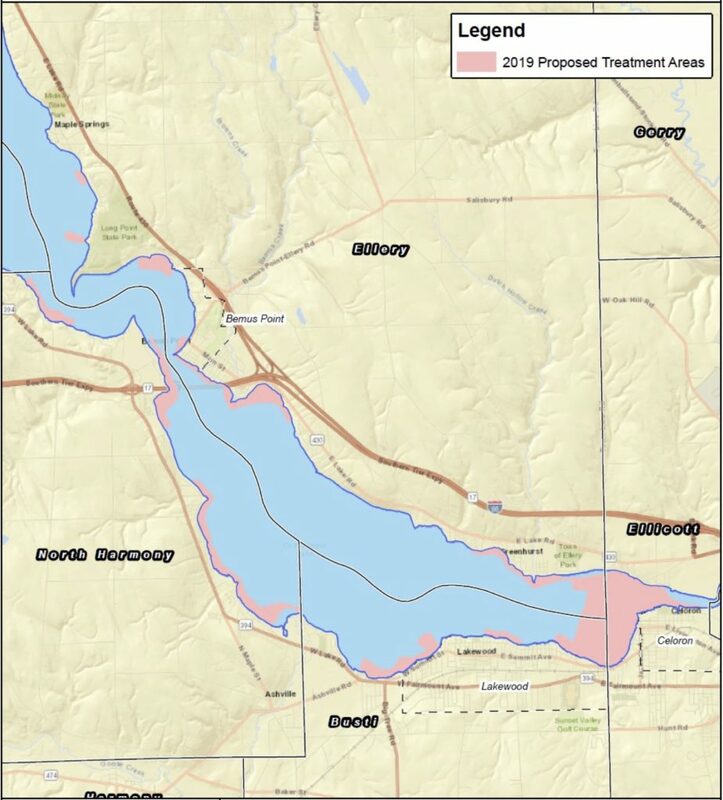 A Technical Memorandum describing the 2019 use of the 2018 lake-wide Supplemental Environmental Impact Statement (SEIS) was approved and submitted by the Lead Agency, the Town of Ellery, on March 1. Findings Statements supporting permit applications were submitted by each of the Towns and Villages seeking permits between March 11 and March 25. The Technical Memorandum and Findings Statements were distributed to a total of 29 Involved and Interested Agencies and Interested Parties. We expect permits for a significant amount of acreage to be issued by the NYSDEC within the next few weeks with in-lake operations beginning in late-April or early-May. Formal notifications will be consistent with permit conditions when treatment dates are firmed up. 2019 herbicide permit applications have been submitted a month and a half earlier than in 2018 seeking permits in plenty of time for late-April or early-May herbicide treatments when target weeds are just starting to grow, environmental conditions are the best and peak use of the lake is still two months in the future. County Executive George Borrello has prepared a “Consensus Weed Management Strategy” Memorandum of Agreement (MOA) seeking all relevant lake organizations’ agreement. The attached legally-binding MOA was released on March 27. The Partnership, Towns and Villages and their lawyers have begun review of the MOA. The Partnership has several concerns with the MOA but is reserving judgement until review is completed. We encourage all to thoroughly review the MOA and its implications before passing judgement. Click here for a full copy of the MOA. The County purchased a Partnership-preferred and recommended MobiTrac (see photo) with $100,000 in New York State grants identified by the Partnership with Senator Cathy Young and Assemblyman Andy Goodell in early 2017. With this and additional purchases and deployment, the current approach using “kids in the water with pitchforks”, inefficient and not sustainable and potentially dangerous with the cyanobacteria toxin risk, will be replaced with efficient and safe amphibious equipment. The Partnership is working with the Town of Chautauqua, recipient of the County’s MobiTrac, and the County seeking equitable lake-wide MobiTrac use. The Town of Chautauqua has already purchased an additional MobiTrac with Town funds so there should be two MobiTracs on the lake in 2019. We’re exploring purchase of additional MobiTrac’s for other Towns and Villages. Recall the 2018 weed fragment experience in Bemus Bay. With herbicides targeting invasive weeds in 2017 and 2018, weed harvesting in treated areas was not needed or used since June 2017. Weed fragment pickup required along the Bemus Bay shoreline was reduced 90% from 2017 to 2018. Although different areas of the lake experience different fragment accumulation, we hope for similar shoreline fragment reductions in areas treated in 2018 and 2019. Algae management is one of the several main thrusts of CLP’s comprehensive strategy for seeking a Greater Future for Chautauqua Lake. 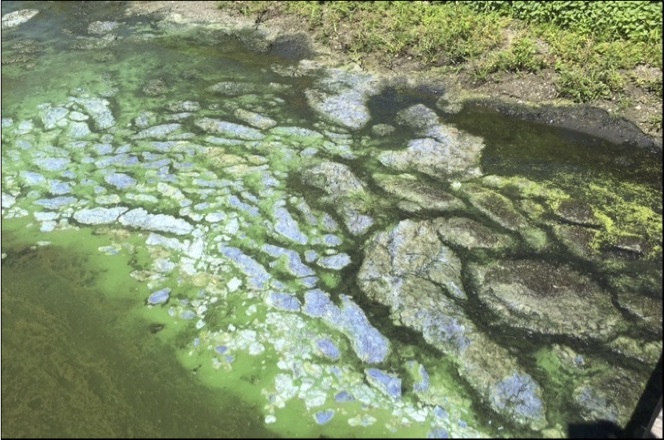 Cyanobacteria, formerly known as blue-green algae, are now often referred to as Harmful Algae Blooms (HABs) because they produce various toxins that are harmful to humans and other warm-blooded animals, including our pets. These harmful aquatic organisms are of major importance to human health and lake management and the Partnership Is actively seeking solutions to the problem. The Partnership has formally teamed with university biologists and engineers in a project to address the phosphorus sequestered in the bottom sediment of Chautauqua Lake. The first phase of this effort involves identification of Chautauqua Lake phosphorus “hot spots” emanating from the lake’s sediment “internal loading”, the major source of the algae-feeding nutrient. Dr. George Bullerjahn and Dr. Tim Davis and of the National Science Foundation-funded Lake Erie Center for Fresh Water and Human Health, including nine well-known universities, have planned a Chautauqua Lake project as a prototype for western Lake Erie application. We hope to be able to fund sensor deployment in 2019. 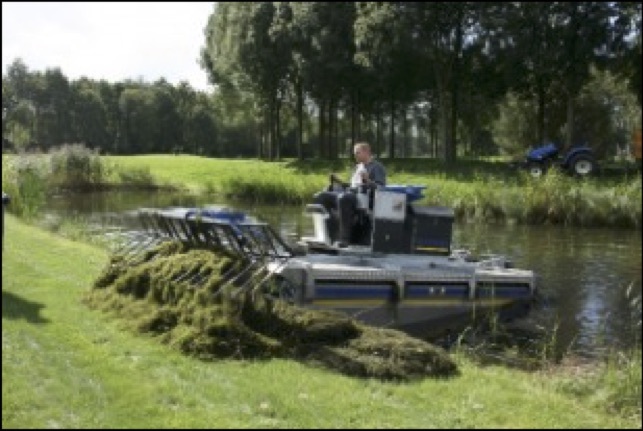 The second phase of the efforts focuses on removal of lake bottom vegetative sediment which accounts for 55% of the overall required phosphorus reduction. Click here to learn more about this program. Dr. Bullerjahn will be interviewed by Greg Peterson as part of the Chautauqua Institution Winter Series at the Turner Community Center near Mayville on April 23 at 6:30 pm. Please plan to attend. The Partnership has also formally teamed with Dr. Joe Atkinson, Professor and Chair, Department of Civil, Structural and Environmental Engineering and Director of the Great Lakes Program and Dr. Michael Shelly, an Environment/Ecological Economist from the RENEW Institute, both at SUNY Buffalo to evaluate the socioeconomic and environmental impact of agricultural nutrient runoff into the lake. Agricultural phosphorus runoff reduction accounts for 25% of the overall required phosphorus reduction.